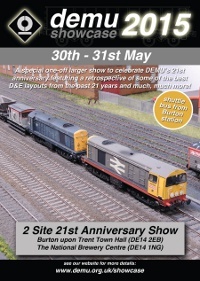 DEMU Showcase is the premier UK exhibition dedicated to diesel and electric modelling and will be on the weekend of 30/31 May 2015. 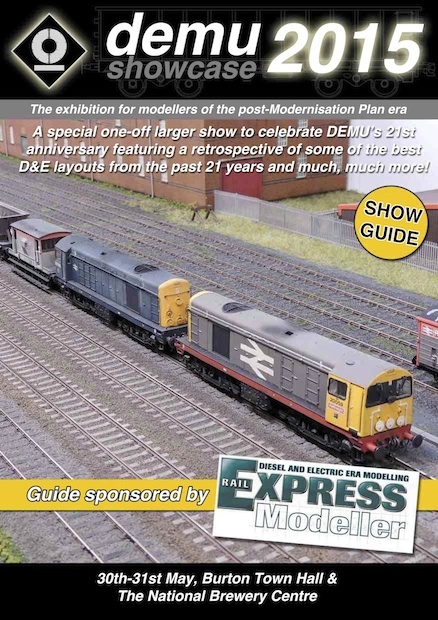 2015 will see the 21st anniversary of DEMU and as a result we are planning the most ambitious exhibition which we have held yet. Both venues are situated very close to the railway station in Burton upon Trent and are a 10-15 minute walk between each venue. There is a a free shuttle bus running a circuit between the railway station - National Brewery Centre - Town Hall. There is very little/no parking at the Town Hall so we recommend parking at or near the National Brewery Centre. Advance ticket sales have now closed, but you can purchase a ticket on the day at either venue. Details of previous shows can be found here.